Laundered Turn Up Chino Short is rated 4.3 out of 5 by 21. 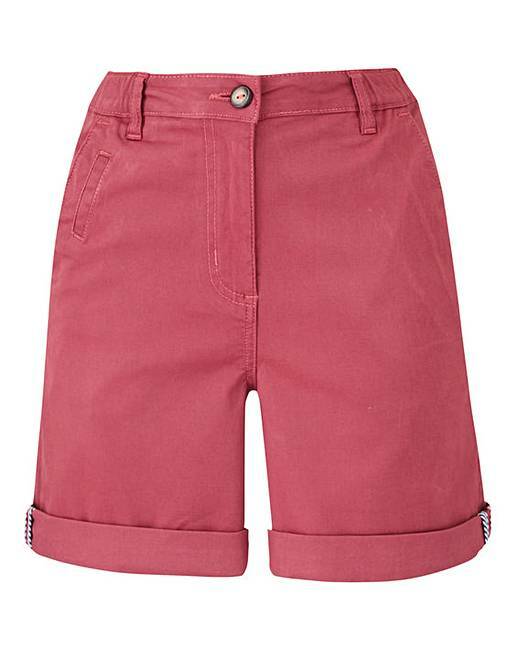 Complete your summer wardrobe and get ready to show a little leg with these laundered turn-up chino shorts. 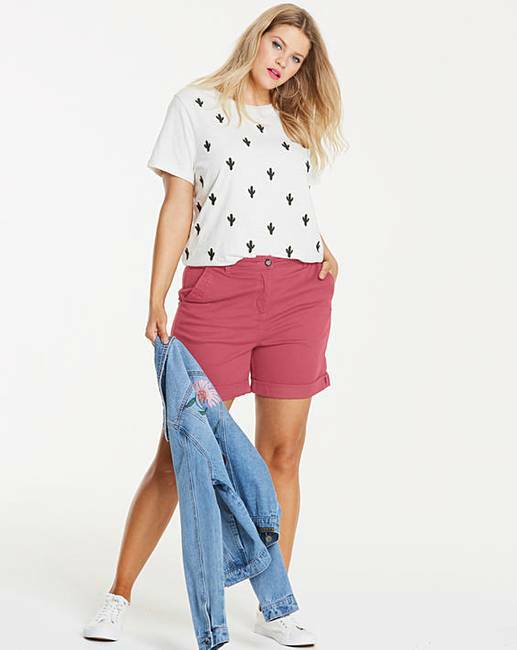 With elasticated waist for optimum comfort and fit, these shorts also feature two button- fastening back pockets for a practical finishing touch. To complete the look, tuck a white jersey top into the waistline of the shorts, and slip on a pair of trainers or pumps to finish things off. Off-duty chic at its finest! Rated 4 out of 5 by fizlefaz from Great Great shorts, superb fit,came next day, can't wish for more . Rated 5 out of 5 by Gem7 from Good fit! Bought these in 2 colours for a holiday. Great fit and just the right length. Would recommend. Rated 5 out of 5 by Lindoh from Great fit Bought these for my hols this year, great fit and really good quality. Rated 5 out of 5 by Kaz from Good for me Brought these shorts for my holidays and they’re exactly what I wanted. The material is thick, the button and zip sturdy. Their have a strip of blue material on the side of the leg that looks good. If wanted you can turn the shorts down for a longer lenght. The fit is spot on for me, being a size 12 petite. I brought them in a sale. 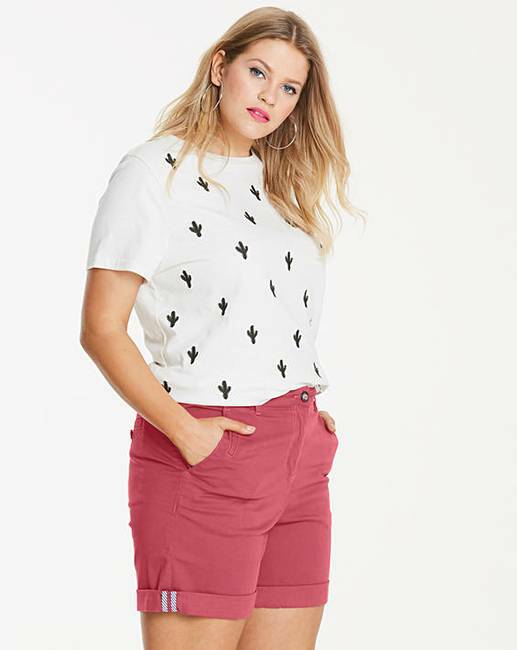 Rated 5 out of 5 by Diana from Love these petite shorts I bought these shorts for a holiday in January 2019 It was difficult to find shorts at this time of year and I was surprised to find these. They are a perfect fit and I was delighted with my purchase so much so that I bought another pair in the different colour. I look forward to wearing them in the Caribbean."